If you're in between sizes and have a full waist, we recommend ordering up. 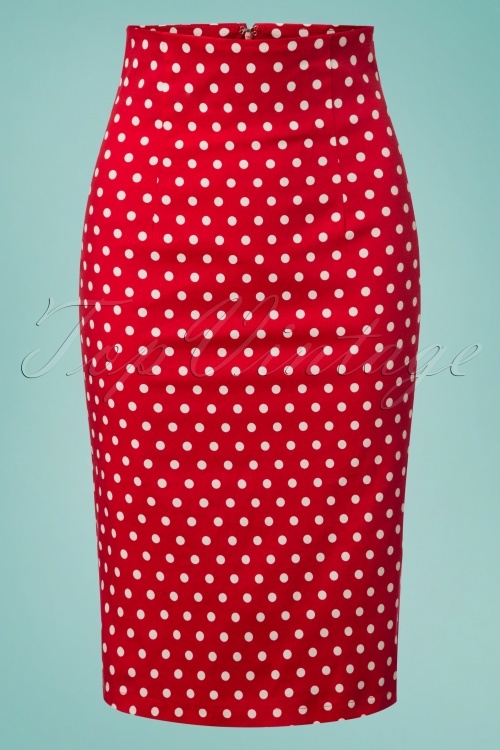 The fabric has a light stretch but the waist band hardly stretches. 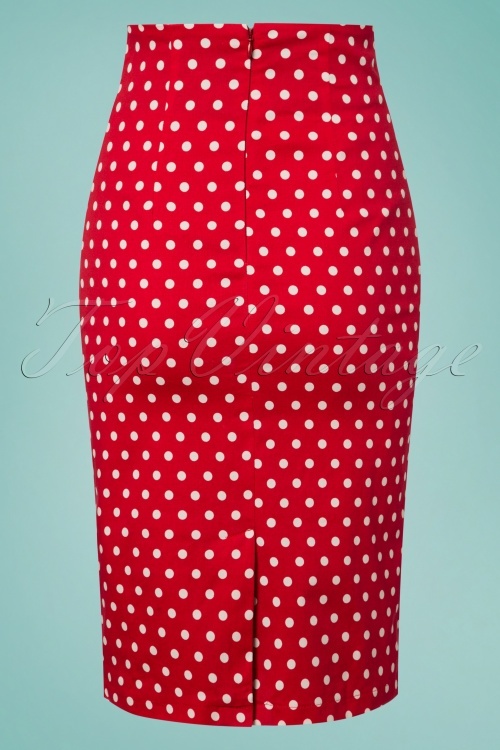 This 50s Falda Polkadot Pencil Skirt in Red is every retro lover's wardrobe essential! 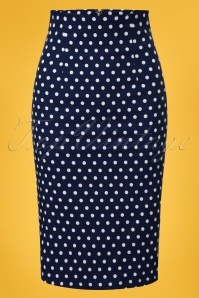 Stunning high waist fitted style that gives every woman a gorgeous hourglass figure, ooh la la! 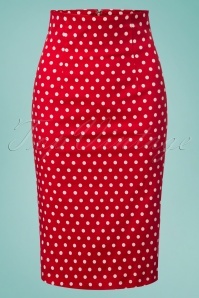 Made of a supple red cotton blend with a light stretch and sassy white polkadots. She is fully lined which makes her a joy to wear. 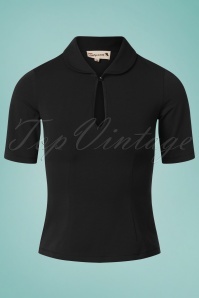 The combination possibilities are simply endless! Hits below the knee at a height of 1.70m/ 5'7"
Ze zag en overwon, nu al in huis en past perfect. 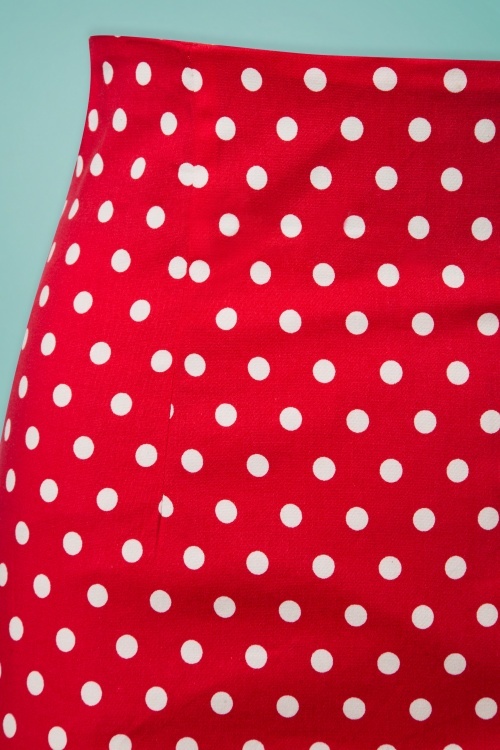 Heel erg blij met deze superrok!